Some potential readers may bristle at some of the conclusions and suggestions in this book. They are invited to consider again the historical record and the ways it has been subject to misuse in the church—not only by this scholar but also by well-intentioned, pious folk in the past, who have been only too happy to read their own solutions to later problems into Luther’s and Melanchthon’s work (p. vii). Indeed, it likely will. But Lutherans would be well-served by reading the conclusions and suggestions that come from the co-editor of the 2000 English edition of the Book of Concord. Wengert’s “little book” is divided into five chapters. The first two address the concept of “spiritual priesthood” in Luther’s theology while dispelling the myth of das allgemeine Priestertum aller Gläubigen [“the common priesthood of all believers”] and its accompanying Übertragungslehre [“transference theory”: the common priesthood of all believers transfers its authority to the pastoral office]. The third chapter focuses on the end of the pastoral office in Lutheran theology, showing that the office of pastor exists to exercise the divinely-given authority of delivering the Gospel of Christ through the aural and visible Word. 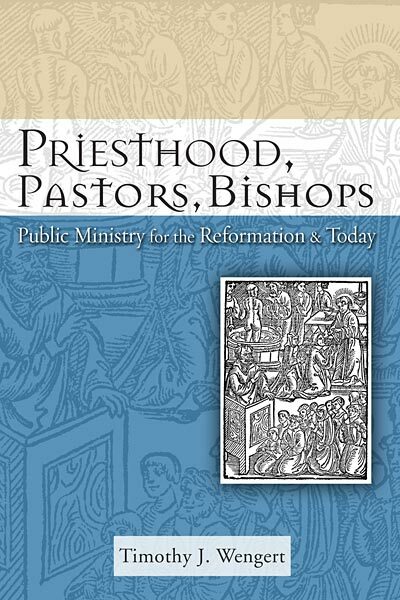 Chapters Four and Five take up the issue of the Evangelical form of the episcopal office, demonstrating its character as seen in the Lutheran confessional documents, as well as illustrating its necessity where the office of public ministry exists. Readers familiar with the history of Lutheranism in America will note that Wengert’s research leaves no-one’s proverbial ox ungored, as is often the case when wrestling with what the Church of the Augsburg Confession teaches. In past and present, American Lutheran synods have engaged in heated debate about each of these topics. Wisconsin Synod Lutherans will bristle at Wengert’s conclusions about misunderstanding what Luther means by “spiritual priesthood” and that Augustana V refers to a concrete pastoral office. Those in the Evangelical Lutheran Church in America who object to their church-body’s agreement with the Episcopal Church–USA over bishops and ordinations will not enjoy Wengert’s highlighting Luther and Melanchthon’s writings which positively endorse an office of oversight and requisite obedience to it. And not to be left out, members of The Lutheran Church—Missouri Synod will have to evaluate Wengert’s conclusions about the shape of the pastoral office in light of their synod’s plan for “Specific Ministry Pastors,” as well as seriously consider the role of “bishop/district president” in discussions about restructuring the church-body. Underlying Wengert’s work is the heart of Lutheran theology itself: the justification of sinful human beings by grace through faith on account of Christ alone. The Gospel action of being incorporated into Christ through Holy Baptism makes one part of the spiritual priesthood: it is not a matter of power or rights, but that the Christian has been given a new Stand [“walk of life”] by Christ (pp. 7-8). Christ institutes the pastoral office, so that His Gospel may be delivered to those who need it: the authority to bring that Gospel comes from Christ alone (pp. 39-40) and the ordering of such an office is less important than the existence of that office (p. 43). An Evangelical episcopal office serves the Gospel of Christ: it must always be dedicated to delivering what Christ has earned, including placing those in office who will bring that Gospel, and regulating the church so that good order exists, making such delivery of the Gospel possible (pp. 99-102). Only by first understanding the raison d’etre of church and ministry can Lutherans put into practice Augustana XIV and XXVIII, with their implications about order and authority. In each of these four things—one spiritual priesthood in Christ, many callings among us, the public office of the ministry, and offices of oversight—the most important thing is the word of God, that precious “good news of a great joy that shall be to all the people.” Despite having produced this little book on the subject of the public ministry, we must remember that, for Lutherans, this ministry and its ordering are always secondary subjects when compared to the angel’s message to the shepherds (p. 109). As the Lutheran synods in the United States take up again the issue of church and ministry, this emphasis about their existing in order to deliver the merits of Christ through His chosen means of the aural and visible Word will be beneficial. Strange as it may seem in the midst of debates about constitutional amendments or the legalese of charters and bylaws, the question about “the office of the gospel” must be asked: Does our structuring or ordering of the pastoral office and the office of oversight serve the Gospel or not? Wengert’s book is a helpful addition to present discussions about ecclesiology in American Lutheran circles. 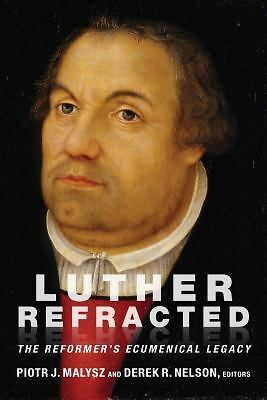 Instead of replaying the battles of the 19th Century or looking through the prisms of Thiensville, Philadelphia, or St. Louis, readers are taken back to the actual writings of Luther and Melanchthon. Modern-day Lutherans will be better served by going back to the Church’s central task of delivering the Gospel, and then moving forward with a better understanding about the matters of the spiritual priesthood, the pastoral office and its authority, the office of oversight, and ecclesiastical order. Wengert’s work will be of assistance for doing just that. Thanks for this very interesting book review!